OUR WEEKLY study continues as we return from Job to the Book of Genesis and take up the story of Abram. We’ll discuss his journey from (and the actual location of) Ur of the Chaldees, the separation from his nephew Lot, the War of the Nine Kings, and the mysterious King of Salem, Melchizedek. 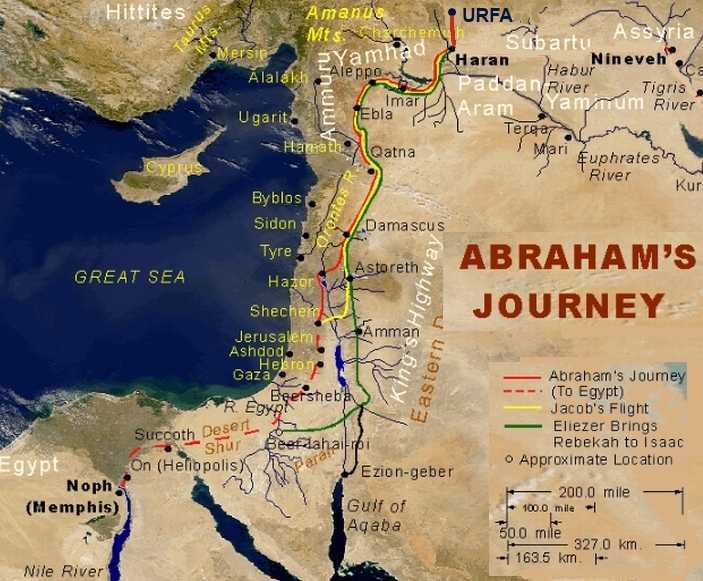 Interesting side study: Where Is Abraham’s Ur? by Cyrus H. Gordon (link opens PDF document). Gordon, who passed away in 2001, was a noted scholar of Near Eastern cultures and ancient languages. He served as the Center for Ebla Research at New York University. The notice in the December 1976 BAR (“The Promise of Ebla,” BAR 02:04) that a new Ebla tablet refers to “Ur in Haran,” reopens the discussion of where Ur of the Chaldees, Abraham’s birthplace, was located. While we would welcome the full publication of the Ebla tablet, the Biblical evidence is by itself conclusive in placing Ur of the Chaldees in the Urfa-Haran region of south central Turkey, near the Syrian border, rather than in southern Mesopotamia where it is located on so many “Biblical” maps. See also the article Sharon referenced during the study that places Ur of the Chaldees/Chaldeans not far from the ruins of Haran in southwestern Turkey, near the Syrian border. And here is a link to several maps that, while hand-drawn, give a good idea of where the battles in the War of Nine Kings took place, culminating with the Battle of the Valley of Siddim, near Sodom and Gomorrah, and concluding with Abram’s raid on Chedorlaomer and his allies to rescue the captives of Sodom, which included his nephew, Lot. As it was the first Sunday of the month, we celebrated communion during the fellowship. If you like, be prepared with a cup of juice and some type of unleavened bread such as a cracker or bit of flour tortilla.